I have to admit that I really love taking photos of odd things, and these oddities do occasionally make it onto the blog. From street art in Buenos Aires, to The Post Alley Gum Wall in Seattle, oddities that make me stop and go…hmmmm I wonder why someone did this…are some of my favorite travel finds. Technically, these street art masterpieces are graffiti or considered defacement by many. 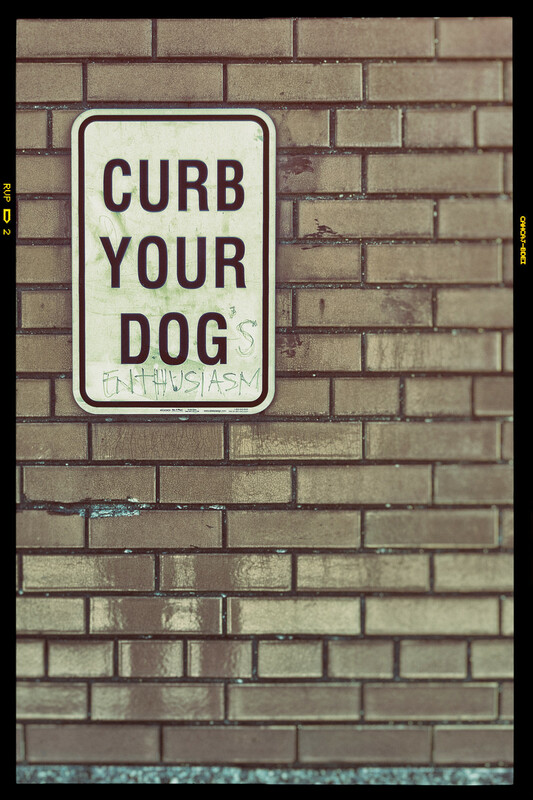 Enter this little sign…Curb Your Dog. I don’t know if this New York City sign is standard (it’s the only one I saw) around NYC, but someone had a clever idea to deface it. Posted in HDR Photography, New York, New York, USA and tagged brick, city, New York, sign, United States, USA by Bri Duncan.